After 10 years, the rose bush in our front garden continues to pop-out roses ever year. The fact that it's planted in clayey soil and gets little, to no attention, doesn't deter it. Over the years I've had the same thought: hey, aren't rose petals edible? Why haven't I tasted ours? I tried one petal raw: not bad. Actually, kind of good. It was almost a little sweet and with a pleasant texture. My Wild Edible Playing Cards suggests that you can sautee rose petals in "light oil for a delicious treat." 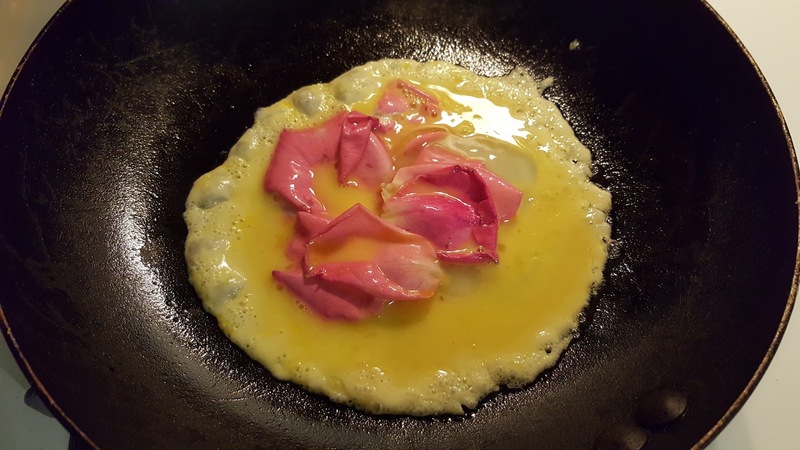 For this first experiment, though, I decided I'd try a method demonstrated on YouTube: Cooking with Master Nan Lu: Scrambled Eggs with Rose Petals. After watching Master Nan Lu at work in his kitchen, I knew he wouldn't lead me astray. The taste verdict: a definite Eh. In my version of scrambled eggs the petals had almost no flavor, and really just provided a little extra texture and bulk to the eggs. It was a worthy first experiment, but I definitely need to up my game. 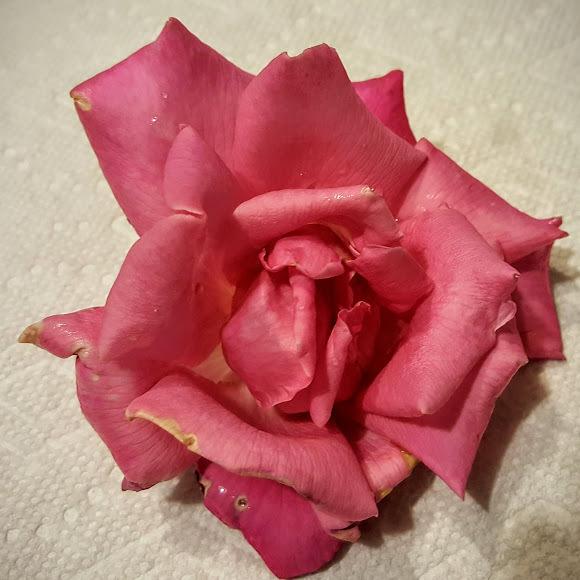 For one thing, I need to harvest the petals when they are a lot fresher. And for another, I think I'll try the 'light oil' technique to see how that works. Regardless, my Rose Bush would give the Giving Tree a run for it's money. Along with providing beauty and a lesson in rebirth, it's now putting food on the table. Your move, Giving Tree.